I wrote about my experiences with comics a few weeks ago. After having some positive experiences and being excited for the release of Marvel Star Wars #1 I thought I might actually end up being a comic guy. Now I'm fairly sure I am not. 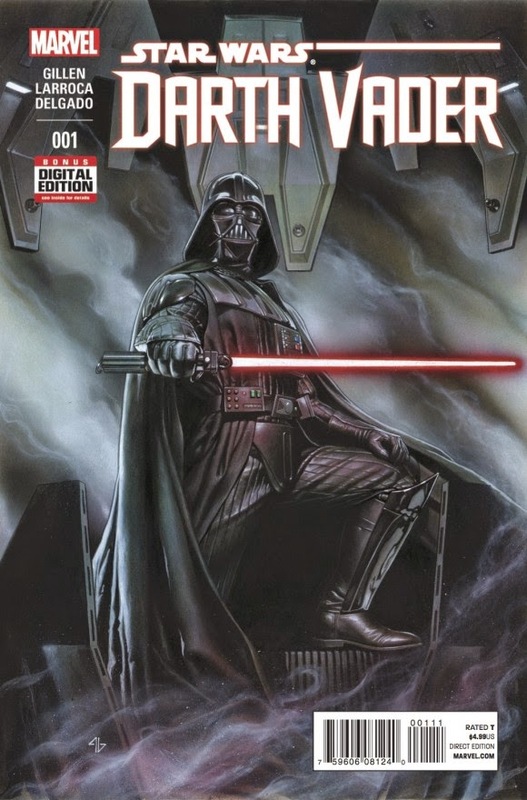 I've read Star Wars #1, Star Wars #2, and Vader #1. I really wanted to like them, but I only think they're ok. The story isn't bad, but it's not great. I think my problem is that I read super fast. I've been an avid reader for as long as I can remember. I fly through books to get the story. I also tend to fly through comics just reading the text. I never stop and linger over the images, I just glance at them and move on. They don't really do it for me. I finish a comic book in about five minutes. The few that I picked up over the last weeks have been around four to five dollars each. Five bucks for five minutes of entertainment is not a good value proposition for me personally. I don't think I can justify continuing to purchase comics. Especially when I can go get a digital book or indie game for the same price. I'm assuming this isn't how most people read comics. I just can't make myself slow down when I'm reading something, at this point in my life I'm actually not capable of it. I read fast. It's the way my brain is wired now. I'm kinda disappointed. I really thought comics might be for me. Yeah, I am not much on comics either, nor manga. I can appreciate a single page, but I just would prefer something that is animated or something that is fully written. This in between medium just doesn't jive with me very well. I often find the story is lacking, maybe not in creativity, but often in depth. Plus, my pacing is entirely wrong too. I tend to avoid comics altogether. That's quite annoying too because a friend jumped ahead on an anime we were watching, and now I have to be patient for new episodes, while has to be patient and not ruin it for me. Lose/Lose!